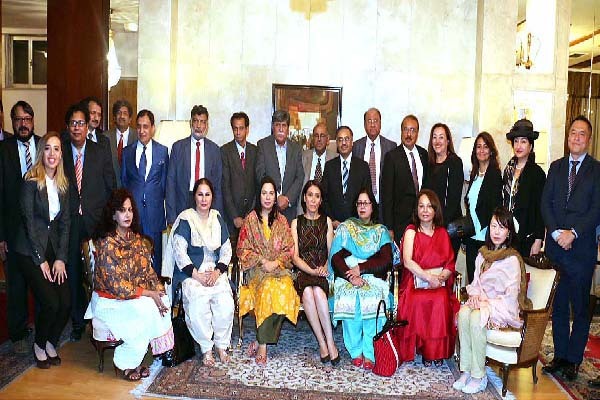 ISLAMABAD, Oct 20 (APP): Pakistan’s Ambassador to Turkey Sohail Mahmood hosted at Pakistan House the participants of the International Urdu Congress, held in Antalya in connection with centenary birthday celebrations of Ahmed Nadeem Qasmi. The guests included prominent writers, poets, and Urdu scholars from Pakistan, Japan and Turkey, said a press release received here Thursday. Speaking on the occasion, Ambassador Sohail profoundly thanked Prof. Dr. Asuman Belen Ozcan, Chair, Department of Urdu, Ankara University, for her tireless efforts in organizing the Congress and highlighting Ahmed Nadeem Qasmi’s life and achievements internationally. Turkey’s development agency, TIKA, supported the convening of the congress. respective contributions on the life and works of Ahmad Nadeem Qasmi an illustrious man of letters and a giant figure of Urdu literature. Highlighting the growing collaboration between Pakistan and Turkey in the promotion of Urdu language and literature, Ambassador Sohail also called upon the eminent guests to help further strengthen Pakistan-Turkey links in the fields of literature, arts, and culture as part of the efforts to deepen people-to-people contacts between the two fraternal countries.